Order within 20hrs 31mins for delivery Monday 22 April using next day delivery at checkout. Urban Armor Gear products reflect the independent spirit of our designers and represent a dedication to superior quality and craftsmanship. 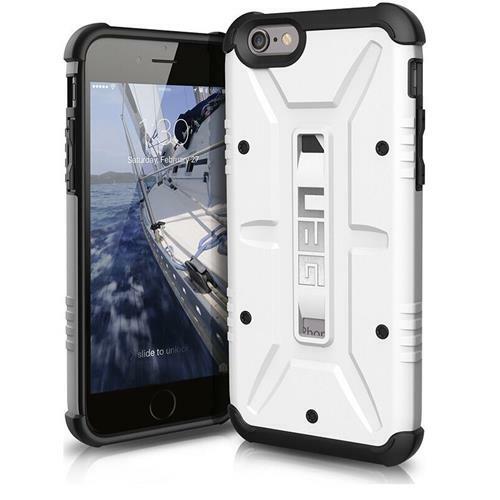 Our feather-light iPhone cases feature a hard outer shell and a soft impact resistant core. Although visually striking, the unique shape of the case also provides strength while minimizing size and weight. The marriage of these design elements and materials working in unison maximizes protection for your iPhone.